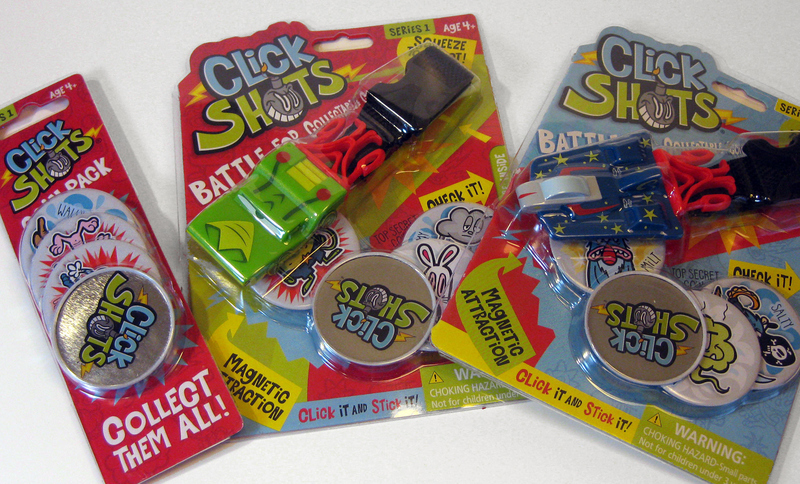 Click Shots a fun toy line I got to illustrate, design and package for Hog Wild. 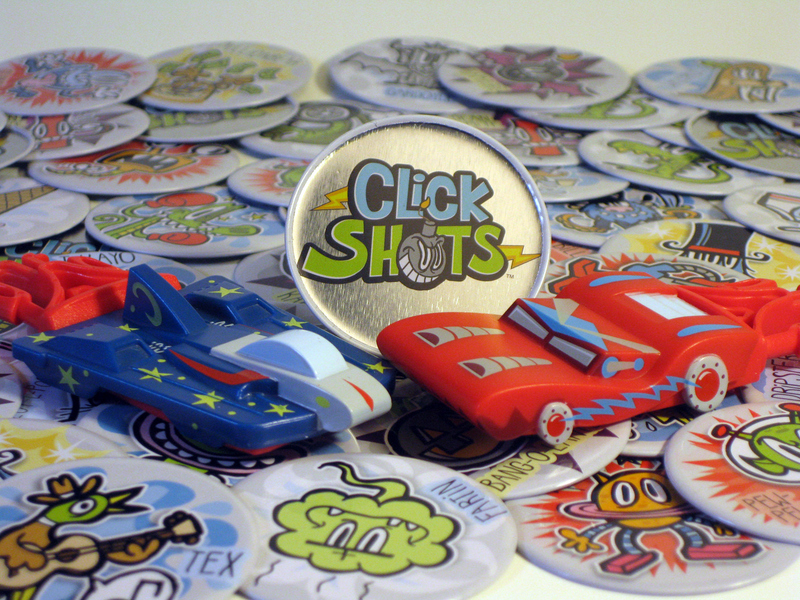 Cars launch of clip and magneticaly attract collectable coins. 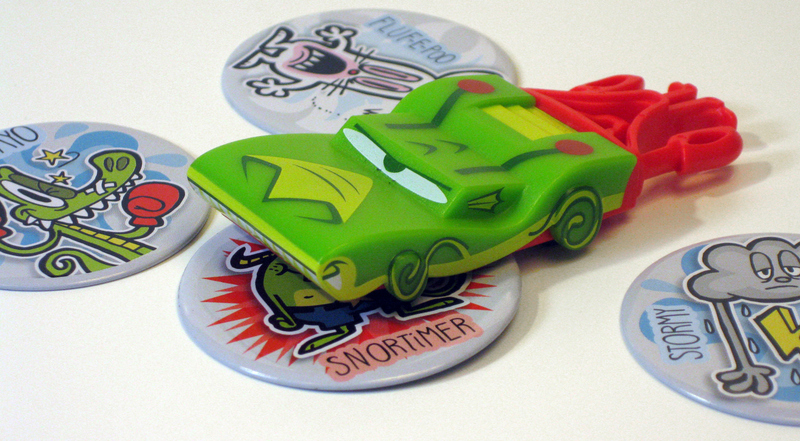 Cruncher car has a magnet in the bottom that attracts the collectable coins. 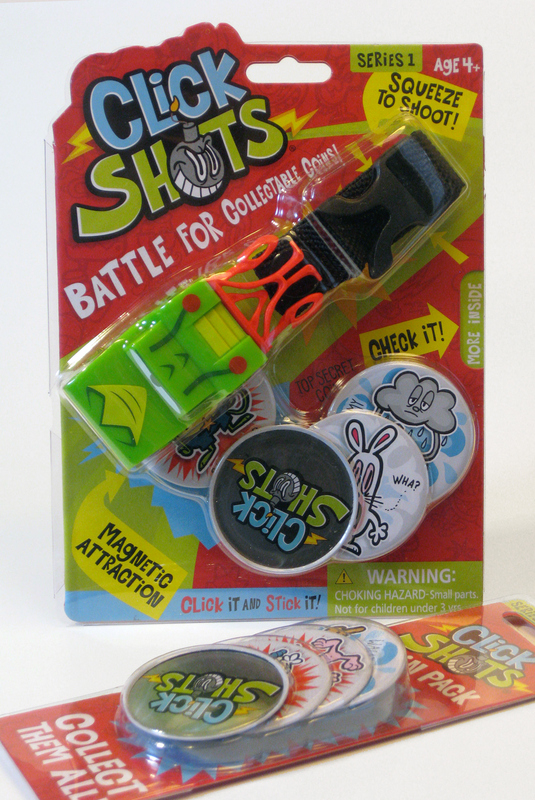 Click Shots, a fun toy I got to do the design, packaging and illustration work for. 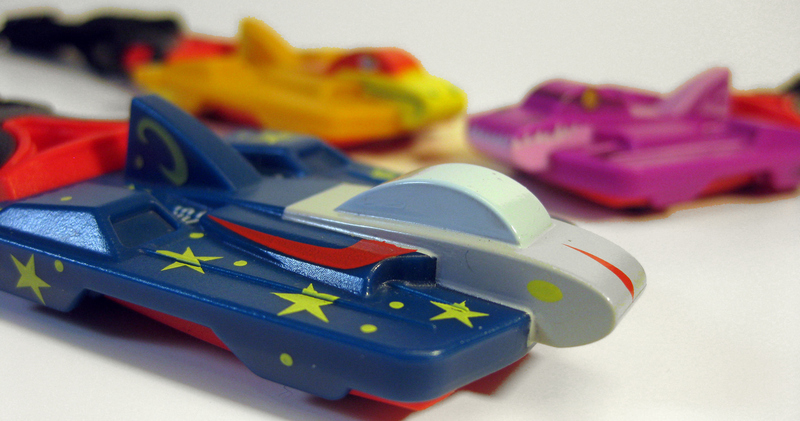 Two different cruncher designs, a car and a plane, each with three different paint jobs. 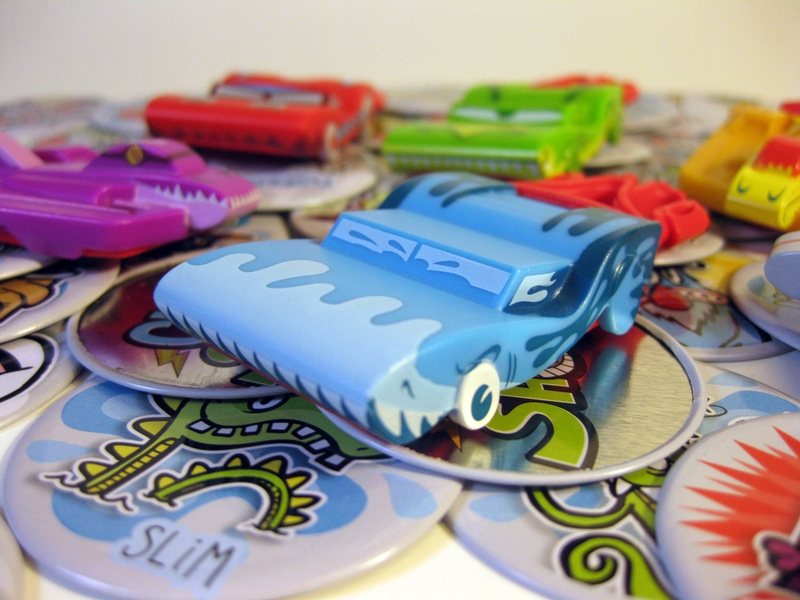 Packaging design for the car cruncher and coin refill pack. 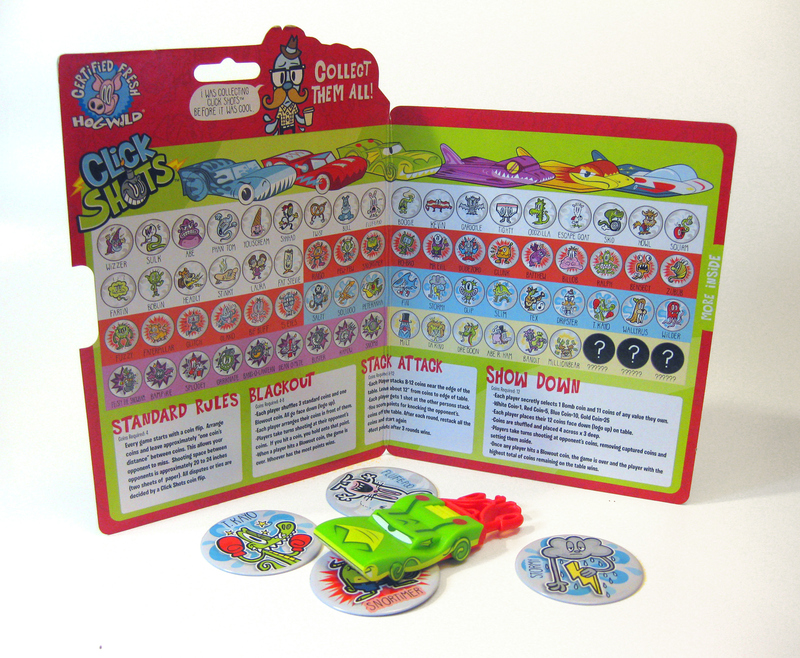 Packaging for coin refill, car and plane. Back card opens up to reveal all the crunchers and coins and game play rules. 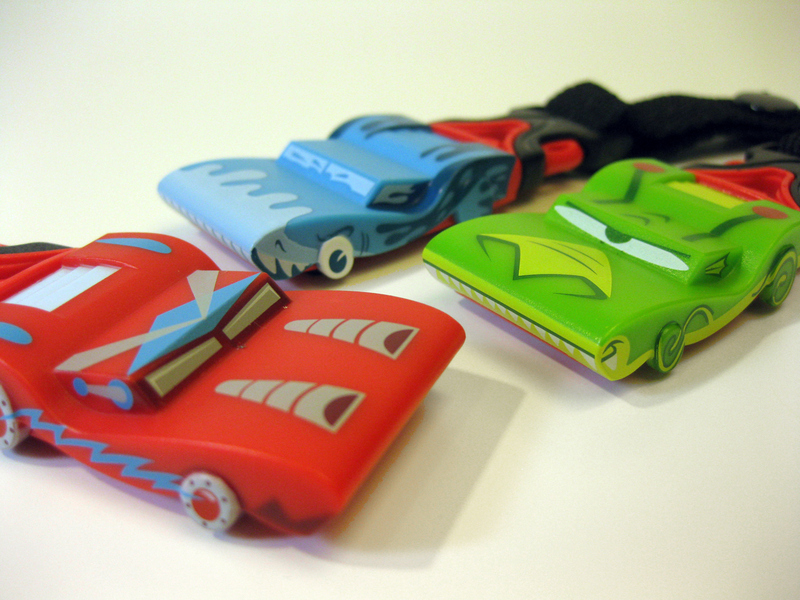 Three different Cruncher car paint jobs. Crunchers launch off a patented clip launching system. When your done playing you can clip them to your belt or backpack. Three different Cruncher plane paint jobs. 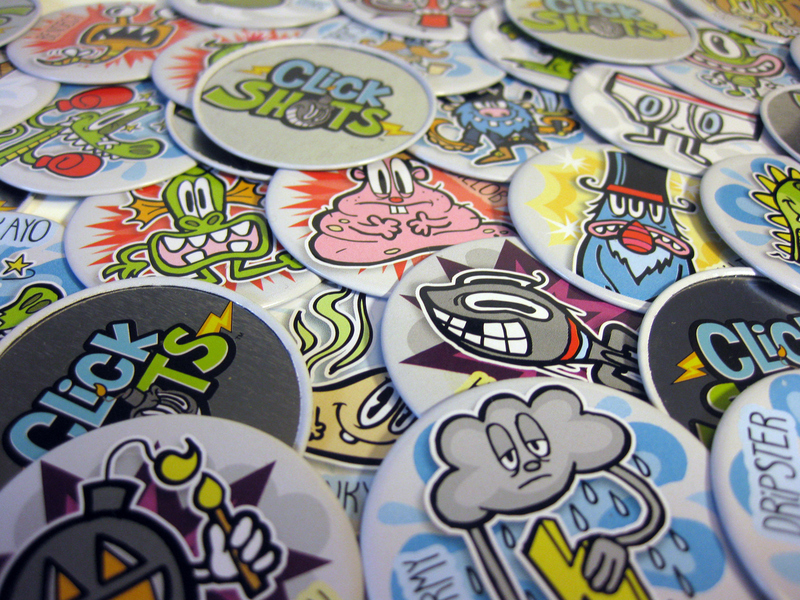 Collectable coins with crazy characters and the Click Shots logo on the reverse side. 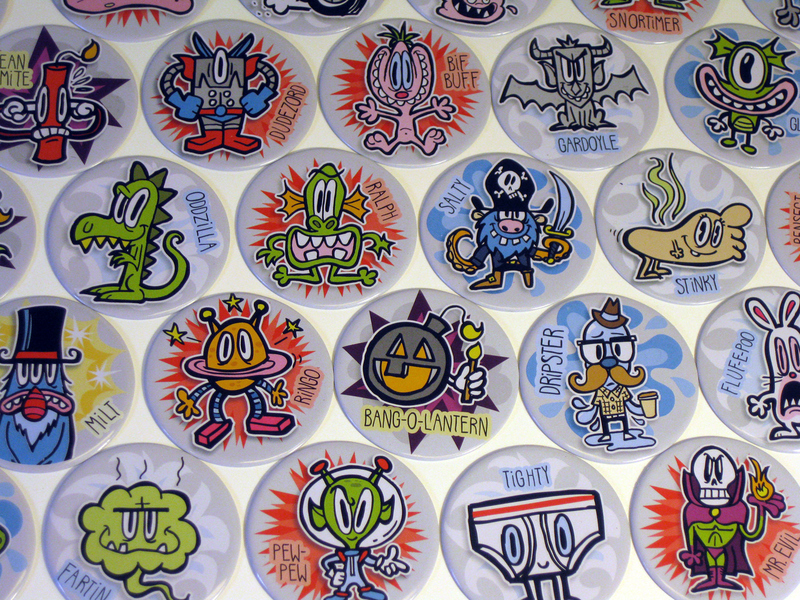 A few of the crazy collectable characters that live in the Click Shot's universe. Click Shots from Hog Wild!